Back of the Head: Lost 6x17 - "The End"
The End. I scarcely know where to begin. That finale was a love letter to those characters whom we've watched for six years. It was entirely about the characters and finding resolutions (and in Ben's case absolution) for them. 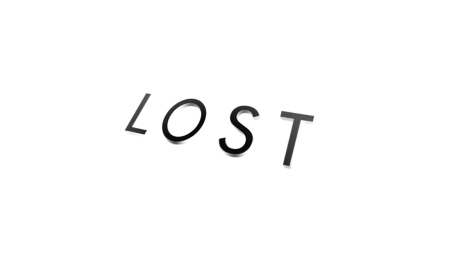 It was also a love letter to everyone who stuck with Lost from the beginning. The reward was not "answers", but callbacks. Symmetry, linking the finale to moments throughout the series and especially the pilot, right down to the last shot reversing the first shot of Lost. Some of Lost's best episodes were the ones centered around Desmond and Penny's love story. For the finale, the love story was extended to everyone. I loved the way almost every character was awakened in the sideways universe by love and by finding their Island soulmate in the sideways. I especially loved the juxtaposition of how on the Island, Jack is making the ultimate sacrifice by his newly accepted faith in his purpose, but sideways Jack was still the Man of Science, stubborn and resistant, the very last of the characters to accept Awakening.. I loved Jin and Sun Awakening and instantly remembering how to speak English, and then the amused looks on their faces when Detective James Ford, LAPD, came in to their room. Great to see Shannon and Boone again. Once he was Awakened, Sayid couldn't keep his paws off of Shannon. "Nadia? Who's Nadia? Look how hot Shannon is! I wanted to bang this girl for the two weeks I knew her until she died." Hurley: "You were a great number two." Ben: "You were a great number one." I loved the choice of Hurley as the new Jacob, King of the Island. Because if there's one guy who would have spent the rest of his natural life asking all the "important" questions: "Dude, where'd the four toed statue come from? Dude, what's this temple for? Who built all this stuff and why? ", it would have been the Island's resident sci-fi and comic book nerd. Ask Hurley all your questions. By the time he stepped into the white light with Libby, he probably had all the answers. I loved that Ben couldn't go into the church, that he wasn't ready. He has the most to reconcile from his past, but he also has Rousseau and Alex in sideways, a do-over. And that one final Ben and Locke scene was joyous. I also loved the explanation of the cuts on sideways Jack's neck and the gash in his side, from the knife fight atop the cliff with Smoke Locke, and how the Island reality was bleeding into the sideways reality literally. Is there confusion? Why? It was very clear: Everything on the Island happened. The flashbacks happened. The flash forwards happened. The time travel happened. That was Lost, that was the show. What we learned was the sideways reality wasn't sideways at all, it was a post-life do over for the characters, an idea (still with its flaws because people are flawed) of what could have been without the Island and Jacob, and the gateway to their actual reward for their losses, sacrifices, and their betterment, which was to be together with the people they loved. This doesn't even scratch the surface, but yeah, I'm satisfied. More than satisfied, I loved it. Damon Lindelof and Carleton Cuse told a great story for six seasons, serviced the characters all throughout, and gave them a worthy end. That's really what they owed us and they delivered.I'm going to miss these characters. I'm going to miss this show. We were lucky to have Lost for the last six years. Lucky that what happened, happened. P.S. No one can kill Frank Lapidus!